Rinse cilantro and remove large stems. 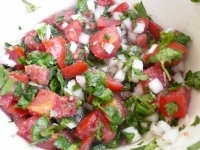 Finely chop cilantro leaves, tomatoes and onion; mix in a bowl. 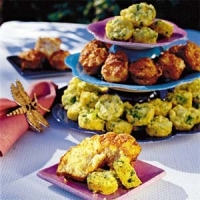 Squeeze lemon or lime juice into mixture and add salt. 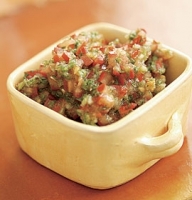 Add jalapeno, chopped fine, if desired. 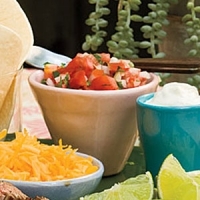 Serve cold with grilled chicken or beef. 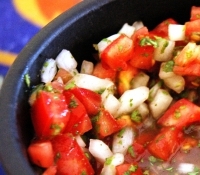 Recipe categories: Sauces, Dips, Salsas.